Snow collects on the brim of Mike Ranta’s birch bark hat as he watches a whiteout set in on the Chilcotin Highway in northern British Columbia. 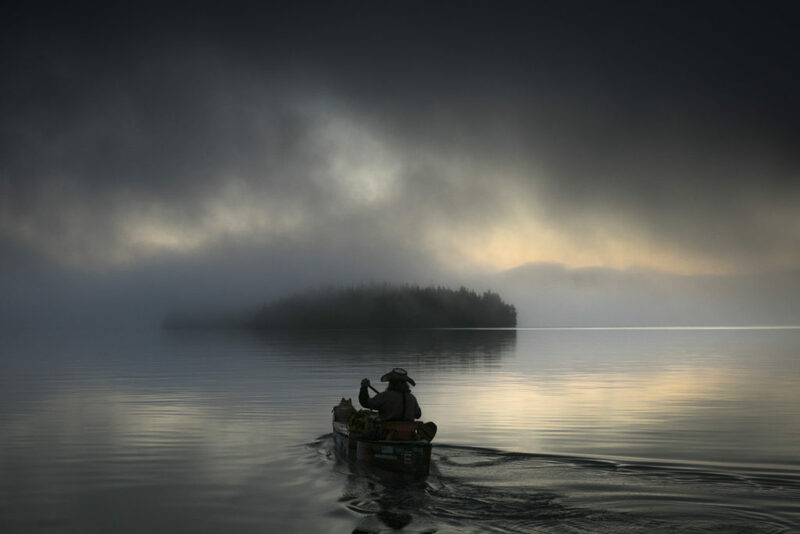 Built on a bold dream of past success, Ranta is attempting to cross the North American continent, alone, by canoe, one last time. In 2014 Mike Ranta became the first person in history to canoe solo from the Pacific to Atlantic Ocean in a single season, a task that took him 214 days with his fearless canine, Spitzii. 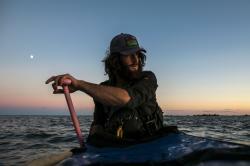 Two years later, Ranta set out to accomplish an unprecedented standard of endurance paddling. In 2016, the self proclaimed ‘modern voyageur’ spent 200 days canoeing and portaging between Vancouver, British Columbia, and Cape Breton Island, Nova Scotia, on an entirely self supported trip spanning roughly 8,000km’s. Just five months after finishing the daunting task, Ranta had one last idea. Slated to mark Canada’s 150th anniversary, he departed on April 1st, 2017, from the coastal community of Bella Coola, B.C., some 600km north west of his previous launching point. “I couldn’t think of a more Canadian way to say happy birthday than doing one last big trip,” Ranta explained prior to his departure. However the land had different plans for the veteran masochist. In early October, after 191 days of ferocious weather and an ever pitiless wind, Ranta would succumb to the terrors of a marred expedition. He may not have finished his journey but for the man clad in cotton and brimming with the pride of a nation, the semblance of success remains etched across his red canoe. Lined with thousands of signatures from Canadians he met along the way, Ranta’s battered hull is proof of his struggles and a reminder that he had set out to celebrate a nation and shake the hands of its people.